I was asked to make cookies for the Valentine’s day party for my son’s class. I though about linzer cookies as they are so pretty. 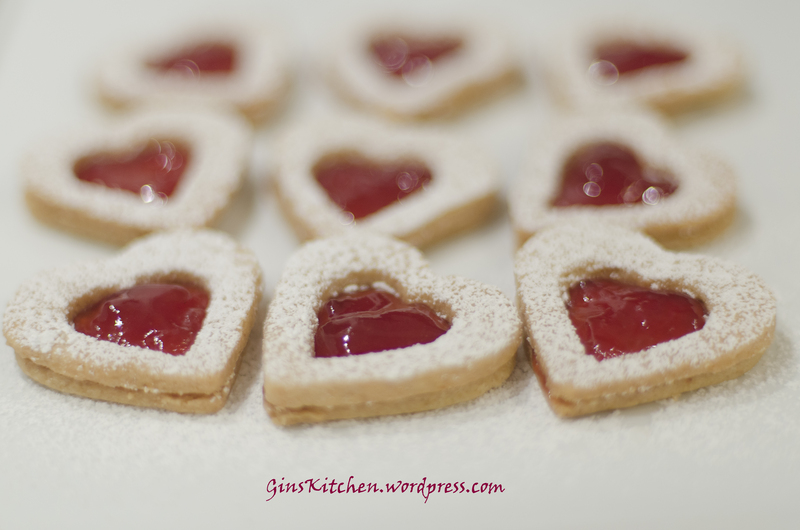 As you may know, the main ingredients for linzer cookies are butter, flour, ground nuts and jam. 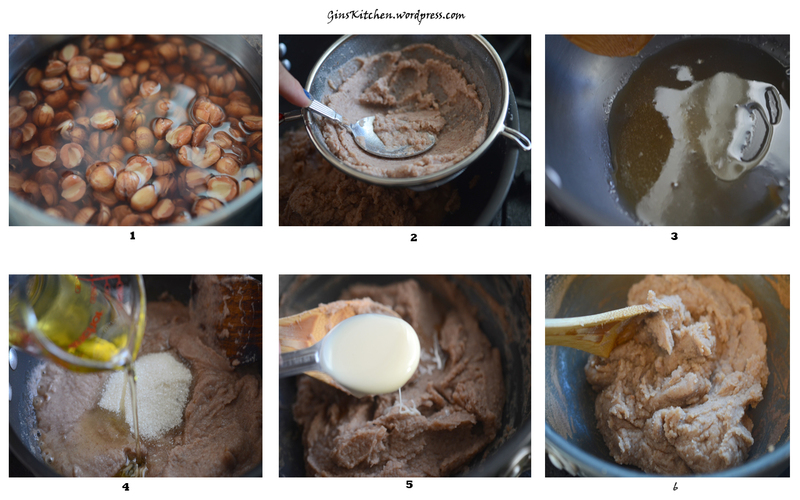 Nowadays, a lot of people are allergic to nuts and I did not want to take the risk, especially when I bake for little kids. I made two batches, one with ground nuts, one with no nuts (basic butter cookies). Below is the traditional linzer cookies recipe which was adapted from Joy of Baking. Please go to my Halloween Witch Fingers Cookies post for the butter cookie recipe. Happy Valentine’s Day everyone! Bring a small pot of water to a boil (good enough to cover your almonds). Preheat oven to 350 ◦F. Line two baking sheets with parchment paper. Bake the cookies for about 12 minutes or until lightly browned around the edges. Remove from oven and place on a wire rack to cool. Place the baking sheets with the unbaked cookies in the freezer for about 10 minutes to chill the dough. This will prevent the cookies from spreading and losing their shape when baked. The filled cookies will soften when stored. If you want the cookies to stay crisp, assemble the day of serving. The assembled cookies can be stored in the refrigerator, in an airtight container, for several days. MID AUTUMN FESTIVAL is also know as Moon Festival because at that time of the year the moon is at its roundest and brightest. Mid Autumn Festival falls on the 15th day of the eighth month in the Chinese calendar. It is the second biggest festival after The Lunar New Year in China. 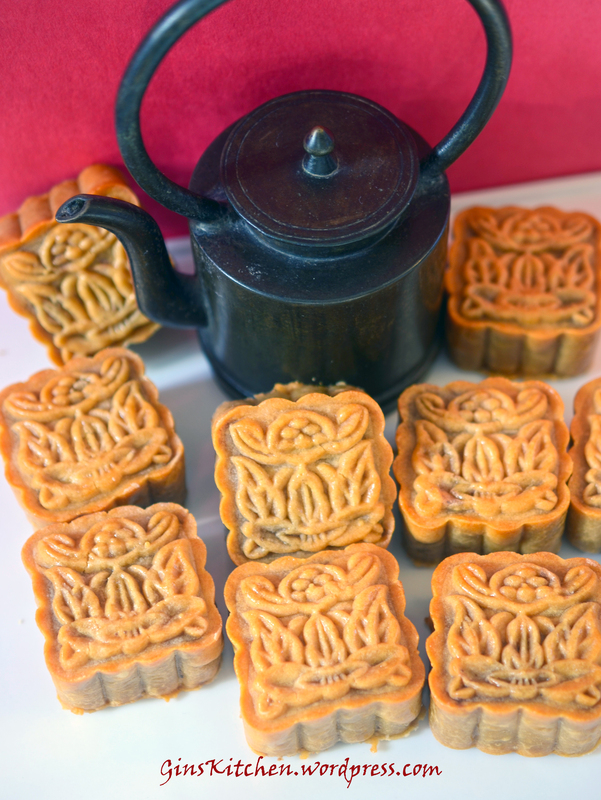 During this Festival, people give family, friends and colleagues mooncakes. 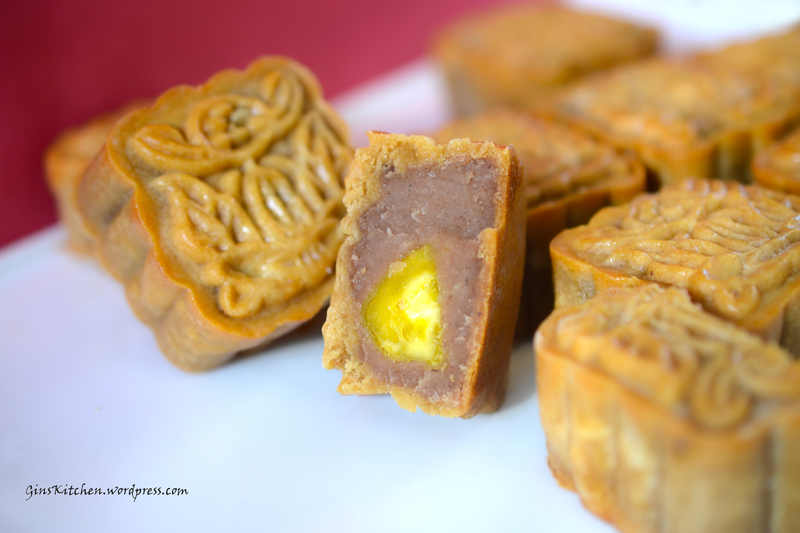 The treats are traditionally filled with an egg yolk embraced by lotus seed, red bean or five varieties of nuts and seeds. My favorite one is the lotus paste. The stories behind mooncakes are quite interesting too —- besides the legend of “Chang’E Flying to the Moon 嫦娥奔月”, the most well-known one is “Wu Gang Chopping Laurel Tree on the moon”. I was a little late making mooncakes this year. I was supposed to make them two days before the festival as the mooncakes normally need to rest for 2 days to get the best texture. These cakes are high in calories, sugar and preservatives, so I decided to make them myself to have a healthier version. 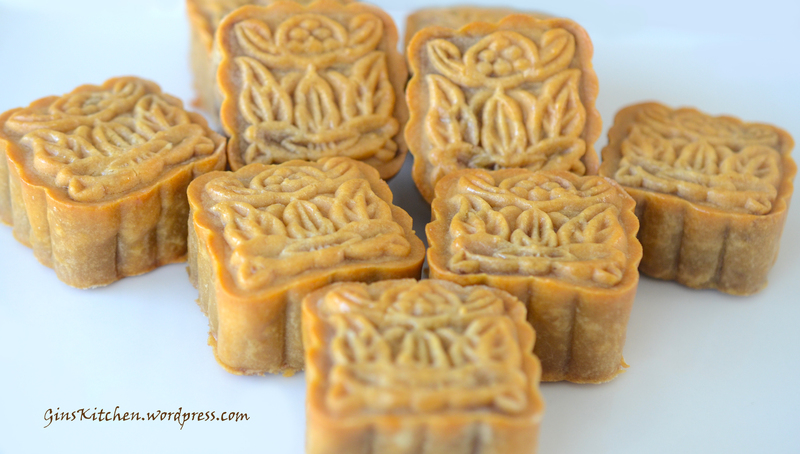 Although it was quit a lot of work to make the lotus paste (took almost an hour to stir the paste in the pan), using the mooncake press/mold was quite fun. 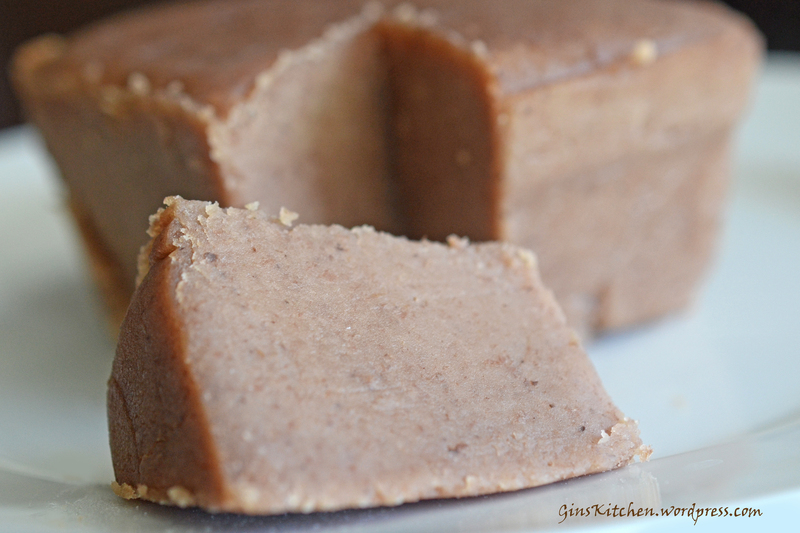 The paste should be made one day ahead of time and keept in the fridge. 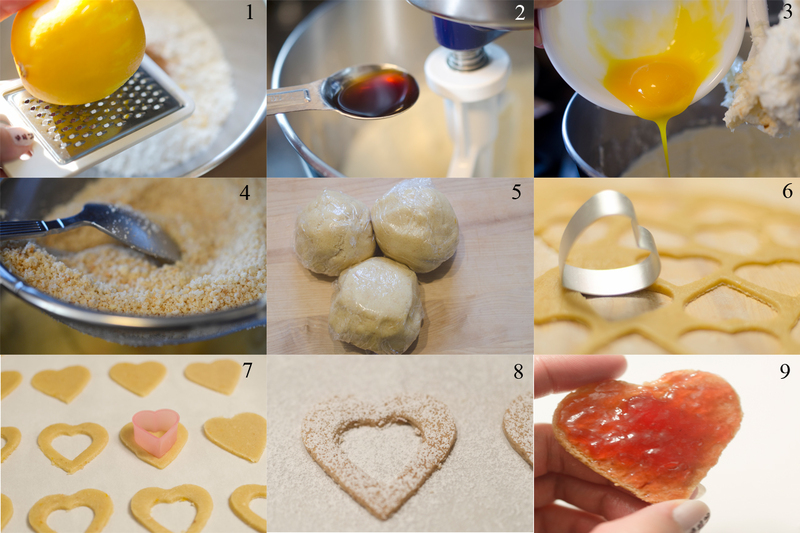 I gathered several mooncake recipes together and tested them out to make my own. Lotus paste recipe coutesy of Amanda. The golden syrup recipe coutesy of Christine Ho. Soak Lotus Seeds in water for 30 mins. Keep in the fridge overnight before using it. Mix salted egg yolks with wine. Wipe dry the yolks with kitchen paper after a few minutes. Cut each into two halves. Set aside. Place golden syrup in a bowl. Add in alkaline water, stir to combine. Add in oil and mix well. Add flour in to the syrup mixture and combine well. Gently knead the dough till smooth (takes 1~2 mins). Shape it into a round ball and wrap with cling wrap. Leave it in the fridge to rest for at least 2 hours or overnight. Preheat oven to 350F. Prepare the egg wash by whisking the egg, sift through a fine sieve. Take a lotus paste ball and poke a hole in the middle with your finger. Place egg yolk inside. (Picture 2). Bake in the preheated oven for 10 mins. Remove from oven and leave to cool for 15mins (this step helps stabilizing the pattern on top). Remove from oven and cool for 10 minutes, brush the 2nd layer of egg wash (very little egg wash) and return to oven and continue to bake for another 6 mins or until golden brown. 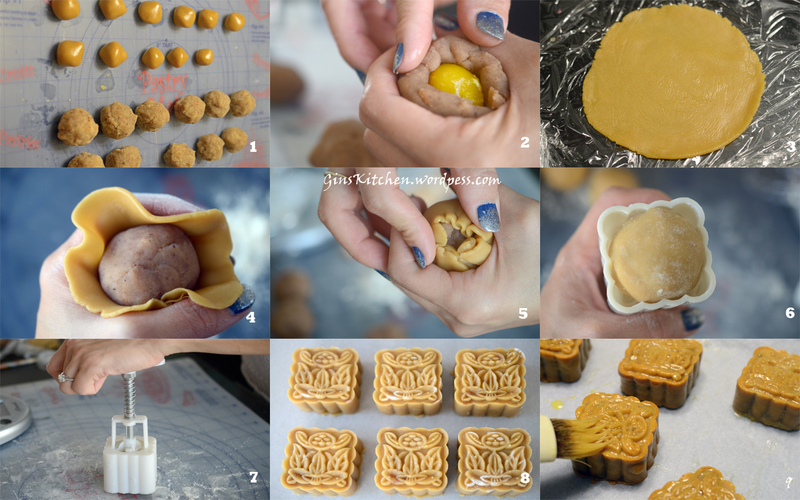 Since every oven works differently, please check and make sure the mooncakes are not over browned). Leave mooncakes to cool completely and store in air tight containers. Wait for 2 days before serving, the skin will become soft and shiny, called “回油” in Chinese. It is best to enjoy these with a cup of hot Chinese tea! 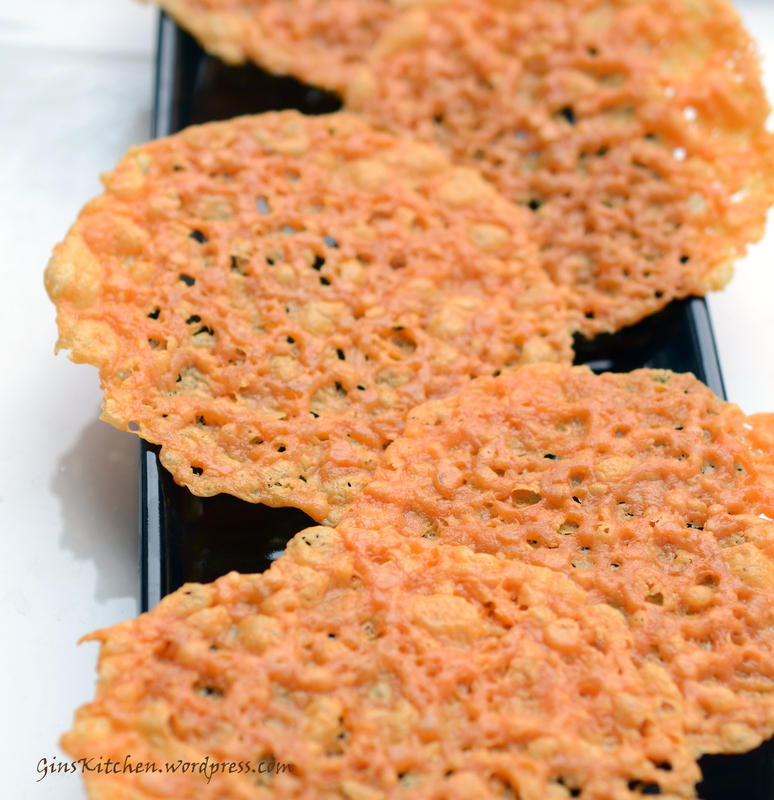 These cheese crisps are great as an alternative when you are craving chips. 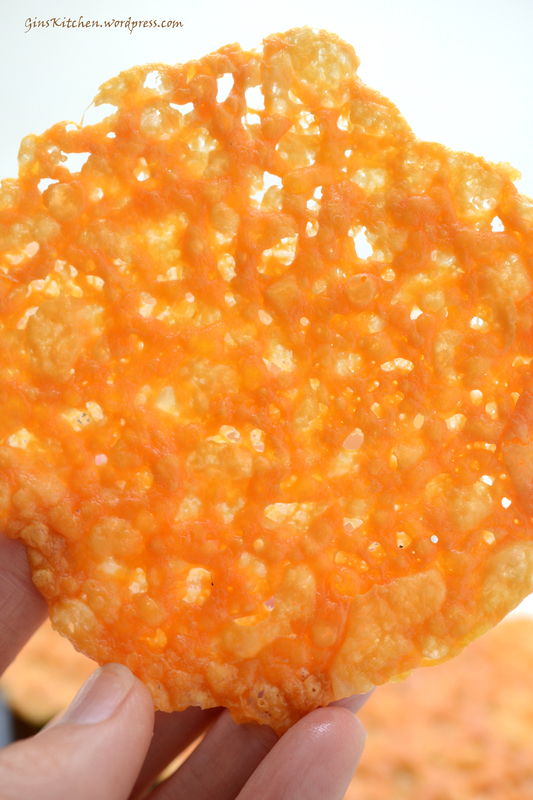 I always bought the cheddar crisps at the farmer’s market for my little kids or for parties/playdates since they are so popular, but are quite pricey. If you search online, you will notice parmesan cheese or any other hard cheeses will turn out crunchy while cheddar is more chewy (this is not what you want). After doing a little experiment myself, I finally got the trick! 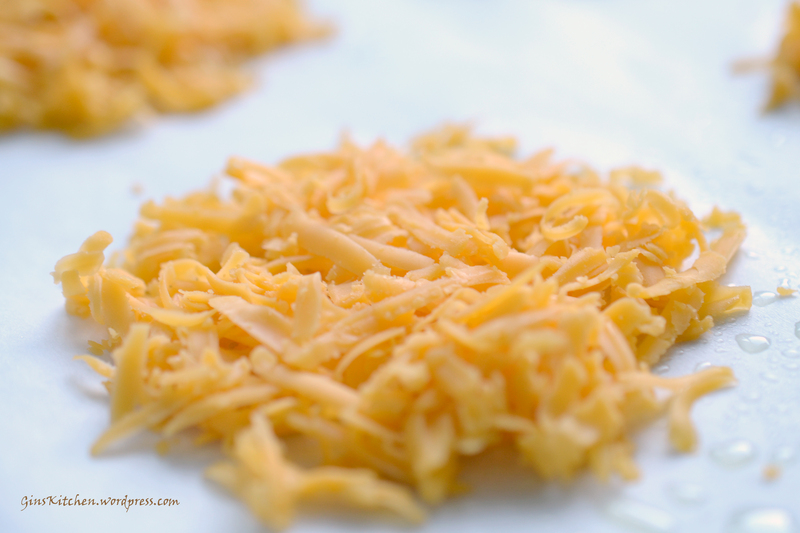 I’m sharing the method as to how to make the cheddar cheese crisps today – It’s all about the baking time! Preheat oven to 300 degrees ◦F. Place little lumps of grated cheese about 1 inch apart on a parchment-lined baking sheet (make sure you use parchment paper). Bake at 300 degrees ◦F for 10-15 minutes, cheese will start bubbling, remove from oven and let cool for 10 minutes. Return the cheese to oven and bake for another 10 minutes. Cool on a rack. They can be stored in an airtight container for up to 2 weeks. I adjusted the temperature to 300 ◦F (instead of 350 ◦F which is what most other recipes listed). High temperature will brown the edges while the middle part is still chewy. For other hard cheeses, you can probably stick with 350 ◦F and just bake in the oven without removing and returning the cheese from/back to the oven. Since each oven is different, if the cheese crisps are not hard enough after baking, you can bake it for another 5 minutes. These can be spiced up with any spice you want before baking. Medium cheddar has a better flavor, sharp cheddar may be a little too strong. When placing little lumps of the grated cheese on the pan, make sure it’s not too thick. Try to spread a thin layer so that the middle part won’t take too long to get crispy.